January 6th is looming large. Johanna flies out the evening before and then Colin and I will pack the car to the hilt, make an early start and drive south for a couple of days. And that will be the end of our two-year sojourn on the Sunshine Coast. There is sadness for sure and sometimes we can’t believe it is really happening. There is also the anticipation of something new. A confusing mix of emotions of late. 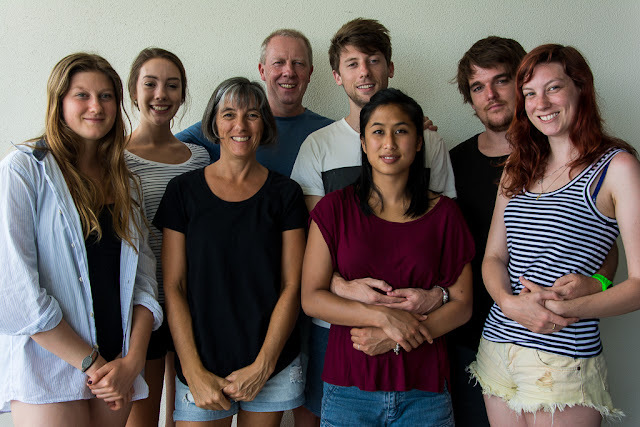 Having the whole family here for Christmas was fantastic; a busy, chaotic and fun time, our little apartment bursting at the seams as we packed 8 into a space that comfortably fits 3. It felt right to be sharing the joy and pleasure of this place with those we love in our final weeks. Sun, sweat, sunscreen and salt epitomised our days. When we weren’t walking, swimming or shopping (and playing mah-jong) we were eating; a multitude of chairs pulled around a table laden with good things. We love this place but we love our family more and it is time to return south. 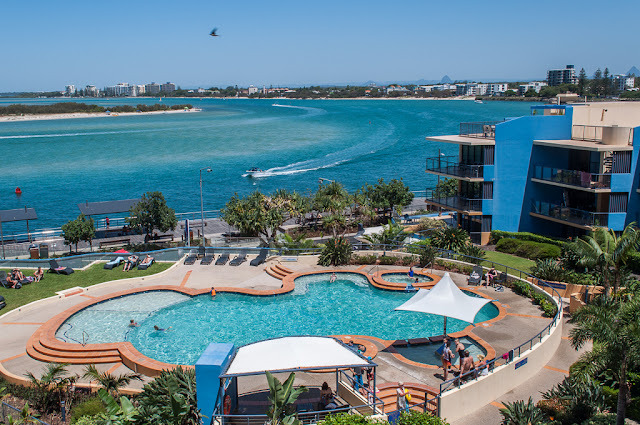 We have booked our caravan in at the local Big 4 here in Caloundra for Easter, we are consoling ourselves with a return in a few months. For now it is time to focus on packing up and then settling into a new place and a new life. And with that, ‘The Colour of Blue’ will be no more. One of the reasons for keeping a blog was to stay connected with family and friends, a return south changes that. I’ll take a break and see what 2015 and Tasmania bring and decide whether there is motivation or reason to continue. A very Happy New Year to all….